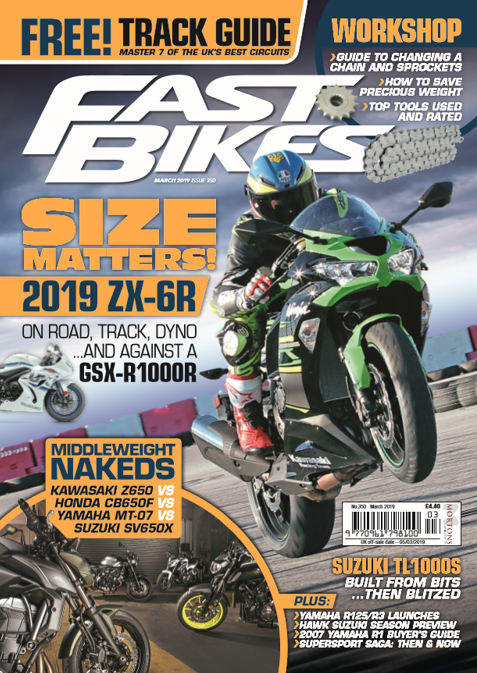 With volatile seasonal change being a key feature for the run up to the end of the year, it can be difficult to know what the most appropriate bike wear is. For the ever present danger of a deluge, you would need your textiles but with significant periods of perfect riding conditions you would also want to be in your less restricting leathers. This is where the Bering Kingston Jacket comes in. A fully CE approved jacket, having tested the stitching, materials and armour, is shower proof with sealed ventilation slits and a windproof flap backing the main adjoining front zip. In the bitter cold the removable thermal lining has aluminium backing which makes this an extremely warm jacket. The diversity of the Kingston is a product of the company mantra – L’experience des conditions extremes – as with the lining removed you have a perfectly well ventilated and cool summer jacket. Unlike other jackets I have stuck with the OE back protector as opposed to immediately removing it to use an alternative track vest. 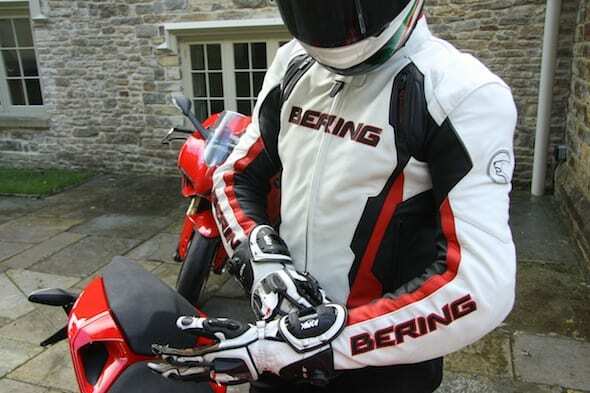 With the armour approved and race cut of the jacket the in built protector holds reassuringly in position. The short cut of the front and long back suits tucking in and you have a 360 zip to add the jean to match the set. On both styles, the Red / White and Black jacket contain unimposing reflective material helping with your visibility to others on the dark winter nights. This is an extremely flexible jacket suited to numerous conditions, looks great, is comfortable and extremely well put together. Thankfully, I haven’t crash tested it…. Further details on this are available from www.tranam.co.uk, including an overview from product manager Ed Miles on Tran Am TV.